Laurie A. 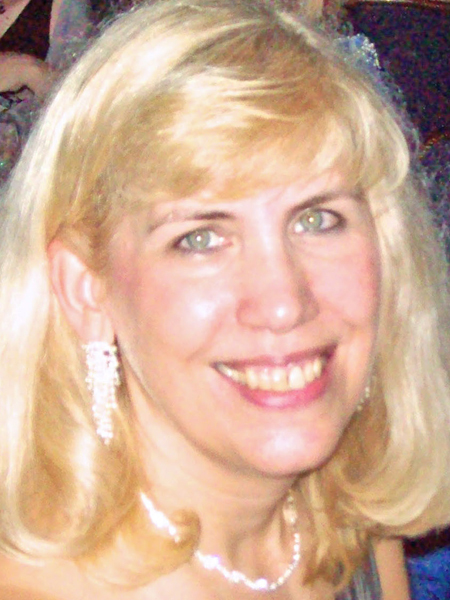 Green is a three-time RWA® Golden Heart® finalist and science fiction romance author and founder of the very awesome SFR Brigade. She is also co-editor of TALES FROM THE SFR BRIGADE anthology. 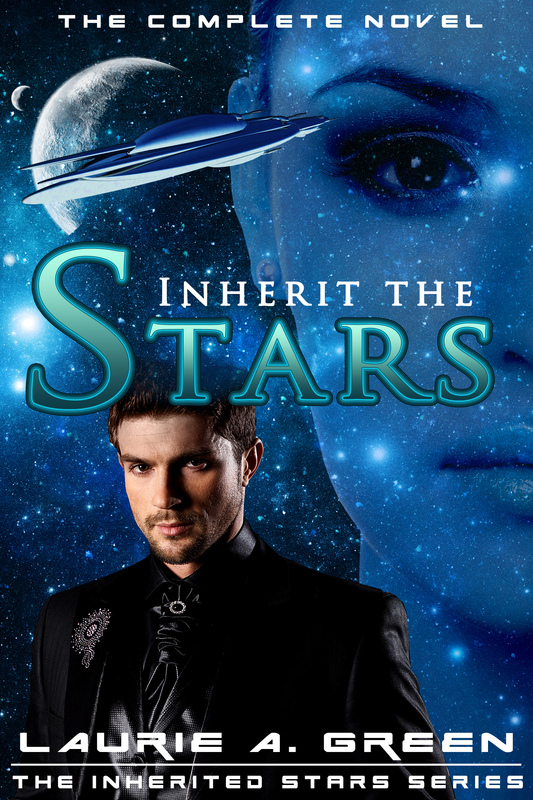 She just launched her INHERITED STARS series this year, with novelette FAREWELL ANDROMEDA and full-length novel, INHERIT THE STARS. We are very happy to host Laurie A. Green. LAURIE: Thanks so much for inviting me to your corner of the literary universe. And I couldn’t agree more, smart girls do indeed love Sci-Fi (and Paranormal) Romance. RK: What draws you to SF Romance? LAURIE: I’ve always been a fan of science fiction—and space exploration—from way back. As a youngster I used to stare up at the heavens on cloudless nights and dream of what it would be like to venture into the cosmos and explore other worlds. At the same time, my stellar wanderlust had me seeking out SF/R books and writing my own adventures. Better to travel the stars in your imagination than not at all. RK: How have your experiences with SFR Brigade helped you as a writer…and also as a fan? LAURIE: The Brigade has been my rock! (And I made that proclamation in the acknowledgements of INHERIT THE STARS.) At the time I founded the Brigade in 2010, I’d been kicking around the idea with a handful of other writers and fans of Sci-Fi Romance, like Heather Massey, Lisa Paitz Spindler, D. L. Jackson, Arlene Webb, Barbara Elsborg, Sharon Lynn Fisher and Donna S. Frelick. I kept running into others online and at writers’ conferences that said they were also working on a SFR manuscript, and I got this idea that maybe, just maybe, if we started an online SFR community, we might find 50 or so others writers out there to form a collective to network and support the emerging genre as a whole. We were in for a big surprise. I think we signed up 50 members in our first week! Today, there are over 650 members of the SFR Brigade and more joining every day. As an author, it’s my go-to place for seeking advice, asking how-to’s, bouncing ideas off my peers and engaging in some general brainstorming. There’s such a great sense of camaraderie in the group, and I can always count on getting honest and well-informed feedback. The Brigade is important to me as a writer, because this profession can be such a lonely and solitary occupation. No one can write in a vacuum. Having this renegade band of romance writers (and we do feel very much the renegades, at times) as a support group has been amazing. As a reader, the SFR Brigade is a dynamic way to stay in touch with the pulse of the genre. I keep an eagle eye out for new SFR releases, listen to the book banter, and watch for trending books. It was through the Brigade that I learned about some of my favorite recent SFR reads like The Last Hour of Gann, Fortune’s Pawn, and Spark Rising. The SFR Brigade is an amazing group of individuals, and sometimes the synergy of the community is even greater than the sum of the parts. RK: Tell us about your road to publication of FAREWELL ANDROMEDA? Later, I took another look at the manuscript and something clicked. It takes place on a remote space station, and—Holy Novas!—I realized I already knew this station well. That’s when I grasped what my muse had been trying to tell me. FAREWELL ANDROMEDA was meant to be part of the series I was about to launch—told from a vantage point 200 years in the future of the final novel. I approached my agent, Amanda Luedeke, with my idea to release FAREWELL ANDROMEDA before the planned novels, as a sort of ambassador for the whole series, and she thought it was a good idea. The novelette provides some clues and unrolls an inkling of the history via the reluctant romance between Captain Tiharra Bell, a deep-space charter pilot, and Dr. Dante “Donner” Dane, a famous astronomer, whom she meets while on layover at Andromeda Station. Donner has a tragic secret, and once Tiharra learns what’s at stake, she can’t turn away, no matter the cost. In the process of writing the story, Andromeda Station dished up a few surprises of her own. The novelette just might have a sequel one day. RK: Do you have a set writing routine? What inspires you? LAURIE: At present, I’m on countdown to retirement from my day job (big YAY!). I work a very left-brain, labor-intensive job with the military that starts way early in the morning (my alarm goes off at oh dark thirty a.k.a. 3:30 AM). This “other profession” takes up about 50-60 hours of my time each week—not to mention most of my mental energy–so the lion’s share of my writing gets done on weekends or in short bursts in the evenings. There are any number of things that can trigger inspiration for me—a dream, a song, a phrase, or one of those sudden lightbulb! moments—but I’ve found that reading will sometimes get my muse’s wheels spinning really fast. When that happens, I have to put the book down and go fire up my computer, because ideas are popping like fireworks in my head. There are a couple of favorite SFR authors who constantly trigger this response for me—Linnea Sinclair and Sandra McDonald. RK: Tell us a bit more about the INHERITED STARS series. To complicate matters even more, INHERIT THE STARS was originally released as a three-part serialized novel, so I think some readers thought it was my entire series. Oh, gosh no. This is a BIG, sweeping saga that covers some 1,500 years (13,500 if you count the backstory)! There’s so much more to come. The series spans several SFR “flavors” including Space Opera, Near Future and what I like to call “Undiscovered Country.” It opens and closes with a pair of novels in the same future time (INHERIT THE STARS and INHERIT THE VENGEANCE), with a single novel (THE OUTER PLANETS) and an embedded trilogy (titles pending) in the middle. The ties between the stories and the characters may not be obvious at first, but there will be clues throughout to help readers connect the dots and get a sense of the grand overarching tale. RK: What are your upcoming projects? INHERIT THE STARS just recently released as a complete e-novel and the plan is to have it out in print around mid-May. Then the second installment, THE OUTER PLANETS, should release sometime this fall, with the first novel of the embedded trilogy (working title DRAXIS) releasing in Spring 2016. I also have several shorter length companion stories in the works, one or two of which might end up in anthologies. RK: You have possession of the galaxy’s most powerful weapon. What does it do? What do you do with it? RK: What paranormal ability would you like to have? Heh heh heh. In my line of work (my “other profession”), having the ability to use the Vulcan Mind-Meld might really come in handy. But for the sheer fun of it, who wouldn’t want to be able to ride and telepathically communicate with seven tons of flying, fire-breathing dragon? Thanks so much for the invitation to guest blog with SGLSF&P today. I had a great time! Great post! Thanks for all you do for SFR, Laurie! Very fun interview, Laurie! Congrats again! So excited for your Grand Adventure! Thanks for stopping by the blog Laurie! Great interview, y’all! Congrats, Laurie, on the successful rollout of INHERIT THE STARS. You never do anything the conventional way, and the three-stage launch, followed by the complete novel was innovative and forward-thinking. Readers have responded so well! Can’t wait for the other titles in the series. Thanks so much, Donna. Yeah, sometimes I enjoy being a rebel. LOL It was great sharing the launch pad with you for our debut novel lift-offs. 🙂 Unchained Memory has certainly been well-received!